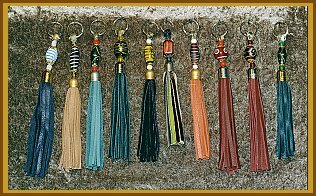 El Hor produces tassels for dog collars, but they can also be used as keyholder`s and what ever you want ! 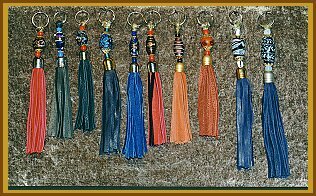 Have a look at our assortment of tassel. 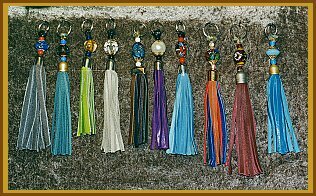 In addition, we of course produce tailor-made tassels according to your wishes. 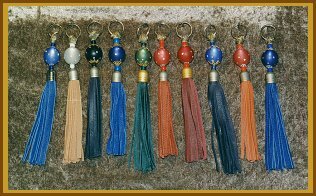 Tell us in which way we should produce your personal tassel. 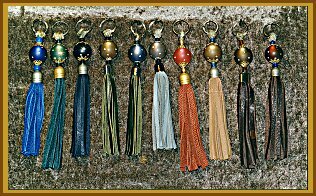 - balls are available in many different styles made of various materials, like e.g. 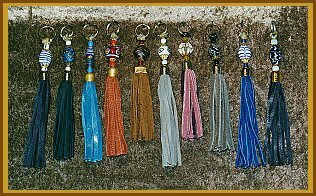 wood or horn. 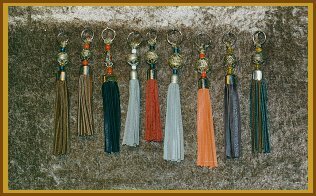 Have fun while styling your individual tassels! 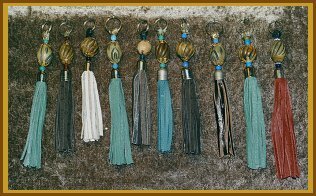 - or you just like one of the shown models. In both cases please contact us! We will produce it for you short term.